Suitable for puppies up to 7kg. 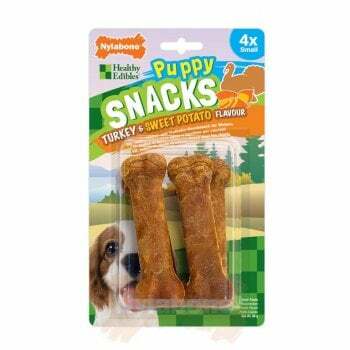 Nylabone Healthy Edible Snacks are a complementary pet food for puppies. 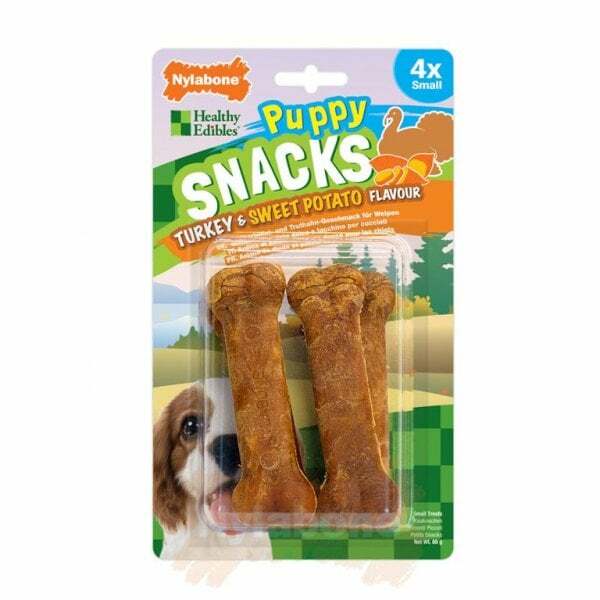 Puppy chew products are designed for 3 months or older.